Speakers in Code: Interview | Kopecky Family Band: "The essence of what we do comes from a place of loving music." Interview | Kopecky Family Band: "The essence of what we do comes from a place of loving music." Kelsey Kopecky is a joy to talk to, especially when her voice lights up on the subject of family. 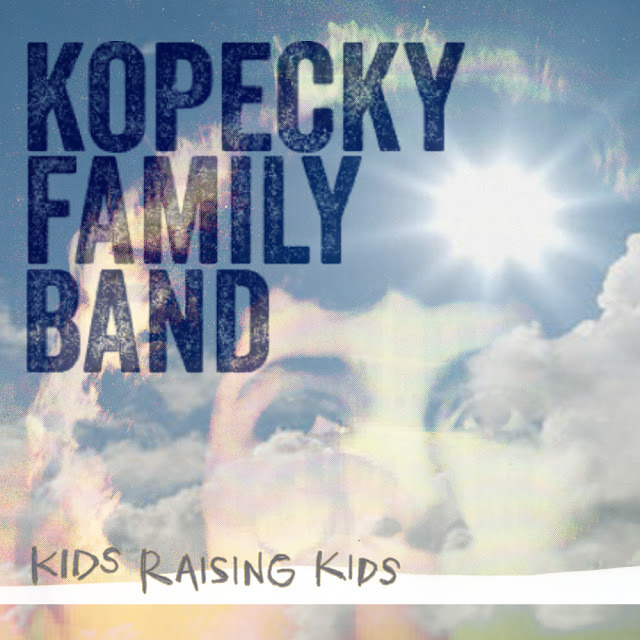 Her band, aptly titled Kopecky Family Band, is celebrating the wide release of Kids Raising Kids on the ATO label. It's an album with a strong spirit, accelerating and easing on its pedals with the same graceful ease, winning you over with its honesty. And it's a joy to experience live. Kopecky Family band calls Nashville its home, but they often live on the road, constantly performing songs like "The Glow," "Change," and "Heartbeat." Their talent is immediate, and so is their passion for the music they've created as a band. Let's have a listen to "Hope." We recently spoke to Kelsey about Kids Raising Kids, Bonnaroo, and "Change for Change." Tell me about Nashville, let's start there. We all live there. We all moved to Nashville in the last five to seven years when we were students of Belmont University. We all grew up in parts of the United States. Our drummer David is from Denver; Gabe is from South Carolina; our lead guitar player, Steven, grew up in the Philippines, and now his family lives in Greenwood, South Carolina; Mark, our cellist, is from the Dallas/Ft. Worth area; our bassist, Cory, is from North Carolina; I grew up in a suburb of Minneapolis. Nashville is such a good melting pot and a great place to get creative and be inspired by other people creating art. It's small enough so you feel very tight-knit, but has a great art culture right at our fingertips. I get that sense from afar, that it's a growing place for musicians. Is it competitive at all? You know, it's funny -- there's so many facets of Nashville. A lot of people think of country music, and maybe a lot of people think that it's the only music coming out of Nashville. But, the Black Keys and Jack White and tons of other bands who have moved to Nashville have really started this undercurrent of indie rock and rock 'n' roll. There's a subculture of non-country music. So, it's definitely competitive as far as you don't want to just play a good show in Nashville, you want to play your absolute best, because there's so many shows every night, in so many locations. I think the nature of Nashville is kind of what made us want to step our game up and sharpen our craft as musicians and songwriters. But, we try and not be competitive -- the essence of what we do comes from a place of loving music and wanting to do what we do, because everyone really does do a different brand of music. And really, country music -- what does that really mean anymore? You're right. That's such a good point, yeah. Is competition even a good thing for art? Gabe always says, it's really funny -- he came up with this analogy -- it's like, when we talk about other bands doing great things, it's kind of like being a parent at a soccer game. You want your kid to score a goal, but you want other people to do well, too. Because we're all on the same team; we're all trying to make good music. And touring with the Lumineers last April, we had a co-headlining tour, and they blew up -- that tour was all sold-out. And to get to know people that well and to see them have such great success, we can't help be ecstatic for them and other bands we get to know well. I liked the Lumineers album, but I'm not sure of there is really a method for that kind of success. I don't know. I think the one thing we can always count on, in this day and age of music, is that the rules are kind of thrown out. The story is different every singe time. 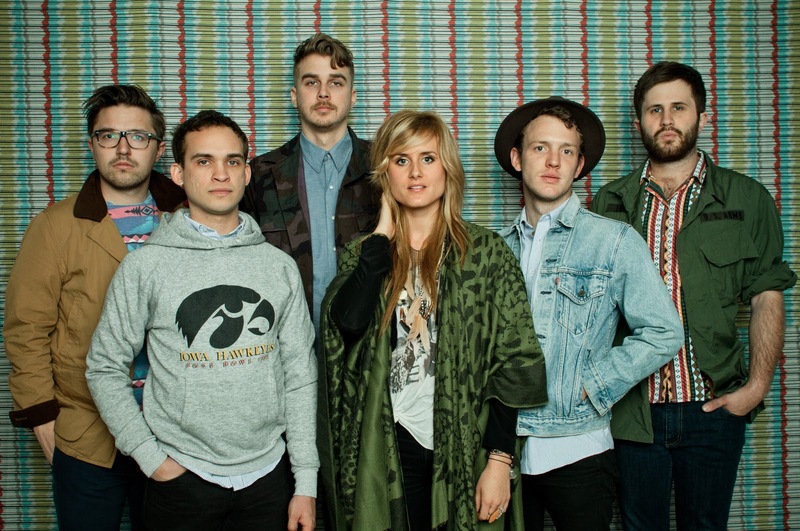 I had heard the name Kopecky Family Band for some time, but I just never listened. Unfortunately, that happens a lot for me, just because there is so much out there. Oh, I've been there, too. It's funny, because I don't know what it is about certain music that grabs me, but your album, Kids Raising Kids hit me right away. And it's going to be re-released, no? Yeah, so, the technical that they're using is "wide release." We've been a band for five years, and really have functioned as independent artists, so we've gotten to know ATO the past few years, and we, of course, were very careful, and cared so much about the art of it all...we don't want business to get in the way of that. But, ATO...their roster is impeccable -- My Morning Jacket, Stars, tons of great bands we love. It was just a really good fit; they could scoop us up and give a little bit of a loudspeaker to it, to amplify our effort, and we're really excited for what that means. The thought you put into joining ATO, you mentioned you were very careful. What sort of do you think about, because you have six people in your band -- that must make for some long discussions. Thank God we have long car rides! That has been the time we can really hash out different business ideas, and our concerns and fears as a band. Sometimes it can be frustrating, but I think the result is really a benefit to have six minds thinking differently about the situation. The things that we considered...of course, a lot of us were music business majors, so we have kind of have a grasp on the way labels are shaping deals these days, which are not really in the artist's favor anymore, not that they ever necessarily were, but even more so. So, we knew from a deal perspective, in the contract, what certain points were fair and mutually beneficial. But, of course, artistically, we don't want to sign up for something that is eventually going to be not what we want to be a part of. So, yeah, it's been good, but we're such a family. Our band name started out as a joke -- Gabe would always say that to me when we would write -- but even now, on my bench in a van, I feel like I'm in my living room. I feel so comfortable on the road, and we're on the road on the time now! You guys played Bonnaroo a few years ago. Tell me about that. Oh my gosh, Bonnaroo is such a sweet memory for me. We played on the smaller stages, and we actually ended up playing three times. For our first show we were actually one of the first bands to make music that day, on the first day of Bonnaroo. And it was like this magical experience -- people were losing their minds, letting their bodies move...it moved me. Tons of people started migrating towards the stage, and it was such a surprise. It made our show really authentic, because we were all looking at each other like, "what's going on?" When you played here in St. Louis, you talked a little about the "Change for Change" idea you have started at your shows. What is that all about? So, we kind of realized that early on, we all have a heart to spread some goodness to the world, in some capacity. It really fit our personalities to help out children in other countries. And we were at my parents' house in Minnesota, we were starting a tour, and we all gathered around the computer and looked at Compassion International's website, and we said, "let's just pick out a little boy -- we don't really have the monthly payment, but hey, let's go out on a limb and try and see if people would be in to this." And we just did it. This little boy named Boris just totally stood out to us, and we were like, "ohh, this is the guy, he's so cute." Then we started bringing it up during our shows, like, "hey, we started sponsoring this kid, and we don't really have the money to pay for his water and food, but if anyone has a quarter..." And seriously, that tour was so inspiring to us to see how people respond to goodness, you know? I feel like this world is full of negative energy, but goodness is so potent. And we started making enough money to actually pick out another kid, and we found this little girl from Ghana. So, we're excited. Who knows, maybe we'll start a school in one of these villages, you just never know. We're pumped. I'm partial to the song called "Change." I'm a sucker for sad songs, Kelsey. Tell me about that one. It's sad, but is has some hope. That song...you're so right. I feel like...that song is the essence of Gabe and I's writing. We actually got to go to Dave Matthews' studio -- we were passing through, and they were kind enough to say, "hey, come on over and do some demos." So, we did, and we were writing so much as a group, and we would do these little breakout sessions, and Gabe and I got paired up again. And literally, we wrote that entire song, structurally, in like five minutes. The idea of the song is actually a story of me being afraid of commitment, and marriage, and love, because my parents were so happy, and then they got a divorce. My mom always says that in the heat of the moment, things might seem that you should do one thing, but you really need to stop and think for a second. And then the other part of it is a reflection on my sister -- she's happily married and has two kids, and it's like, "please, God, let them have true love, she deserves it." And then my mom's advice at the end -- you'll know in your heart and with your intuition if it's the right thing. But still, things change -- you can be an amazing lover, an amazing person to your spouse, but the minute that isn't reciprocated, there's not that balance anymore. 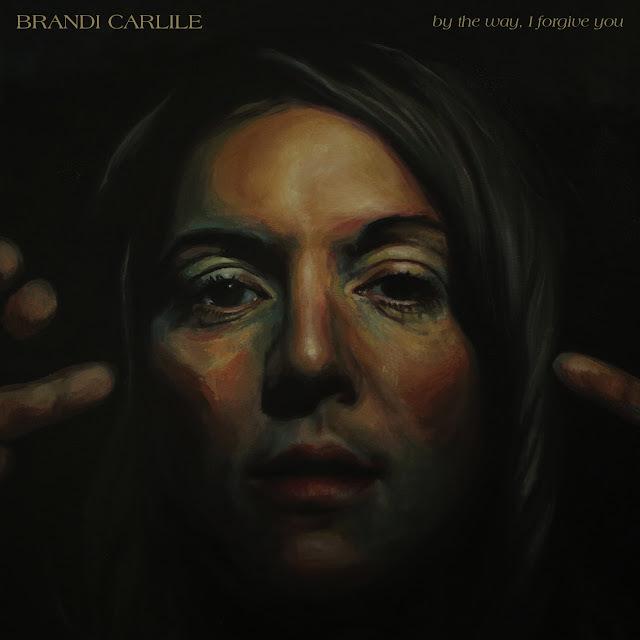 And "don't you go and change for me" is like a plea -- stay true in this, and don't change. I like that the line -- it's relatable. That song I think has touched a few people who I've talked to. If any song is a summary of where I'm at in love, that's it. I believe in love so much, and I love people, and I'm so full of love, but how could that be when I'm not confident of other people's love? I don't know if I know the answers myself, but you can't give up. I know that. You can never, ever give up.